KUWAIT CITY, Oct 3: A number of security measures have been implemented on the Kuwaiti-Saudi borders to control terrorism and deal with the file of dual-citizenship holders, reports Al-Seyassah daily. Saudi authorities have activated a fingerprint system at the Al-Riggae border on all passengers including Kuwaitis and GCC citizens. They intend to launch this system in all of its borders including the Al-Khafji border on Monday, Oct 4. However, Saudi diplomatic sources revealed that the fingerprint system is not a new procedure for those entering Kingdom of Saudi Arabia, as it is applied on all Saudi and non-Saudi individuals at all borders. 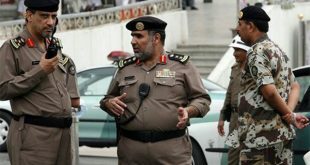 On the contrary, a security source said such a procedure by the Saudi authorities is new, as the fingerprint system was not applied on GCC citizens in the past, indicating that this security procedure targets those wanted by law and the dual-citizenship holders. 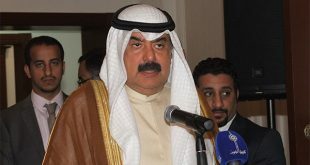 Regarding the return of seven Kuwaiti citizens from the Saudi borders after the fingerprint system was implemented, he said the Kuwaiti security systems have nothing to do with their return and that the citizens may have returned voluntarily over fears that they may possibly be wanted by law. 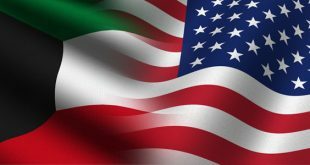 When asked if Kuwait intends to apply the same procedure on GCC travelers, the source indicated that the matter is related to the GCC Security Pact and it requires other legislative procedures. In another development, Ministry of Interior has signed a contract with the Airbus Company to buy four helicopters with full options based on its plan to develop all security systems in the country. Undersecretary of Ministry of Interior Lieutenant General Sulaiman Al-Fahad affirmed that the deal is aimed to empower the security authorities of the country in consideration of the current situation and developments in the region. 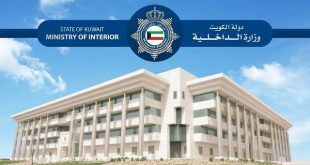 Meanwhile, the Ministry of Interior has succeeded in eradicating the grounds of terrorism which emerged in Kuwait over the past few years, reports Al- Shahed daily quoting an informed source from the ministry. 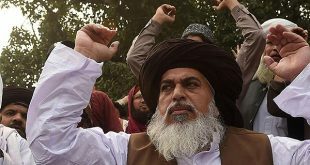 The source said the preemptive operations, the arrest of several members of the terrorist organizations and their supporters and the creation of a large database on terrorists from all over the world to ban them from entering the country have contributed greatly to the stability of the country and thwarted any possible attack. 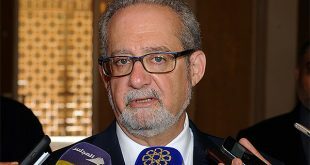 Meanwhile, Ministry of Interior has strengthened its marine security sector by providing it with the latest radar systems and speedboats to deal with any individuals who try to sneak into the country, reports Al-Shahed daily. According to a security source, when the State Security Department received classified information about loopholes exploited by suspects involved in terrorist acts to smuggle weapons and drugs, an urgent study was carried out and a security plan was made under the supervision and command of the General Department of Coast Guard to cover all regional marine borders and monitor them round the clock to prevent any attempts at infiltration or smuggling of illicit items. The source revealed that the Coast Guard officers have received explicit orders to fire at any moving targets that do not comply with the orders of the security forces, in consideration of the current security conditions that prevail in the region.